Nick Griffiths had three of his toes amputated this week, two months after they were irreparably injured by severe frostbite in Yukon. If Nick Griffiths ever returns to Yukon, somebody might want to buy him a drink. But maybe not the one with his toe in it. The British adventurer had three of his toes amputated this week, two months after they were irreparably injured by severe frostbite in Yukon. 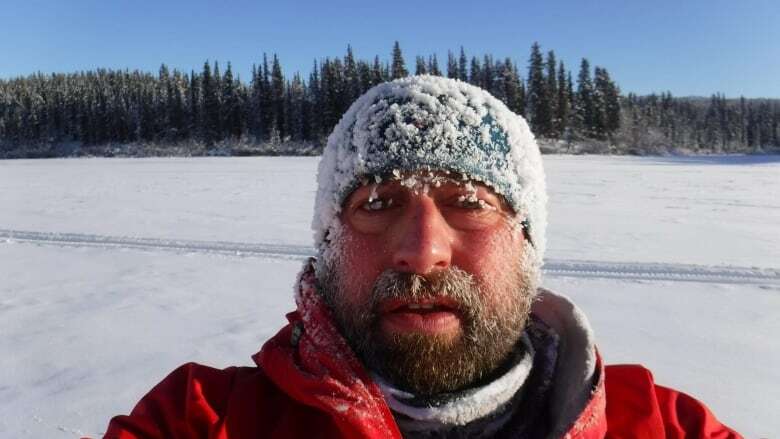 Griffiths was competing in the long-distance backcountry Yukon Arctic Ultra race in February when he became one of several racers who ended up in hospital because of the severe cold. Now he's got his dismembered digits in little jars and he's promised them to Dawson City's Downtown Hotel, home of the infamous Sourtoe Cocktail. The cocktail may be unusual but the recipe is simple — a shot of whisky with a real human digit bobbing in the glass. "They basically said, 'Can we have them if you're not going to need them anymore?'" Griffiths said Thursday from his home in Bolton, England. "It's sort of recycling taken to the extreme." The Downtown Hotel likes to keep a few mummified toes in reserve. 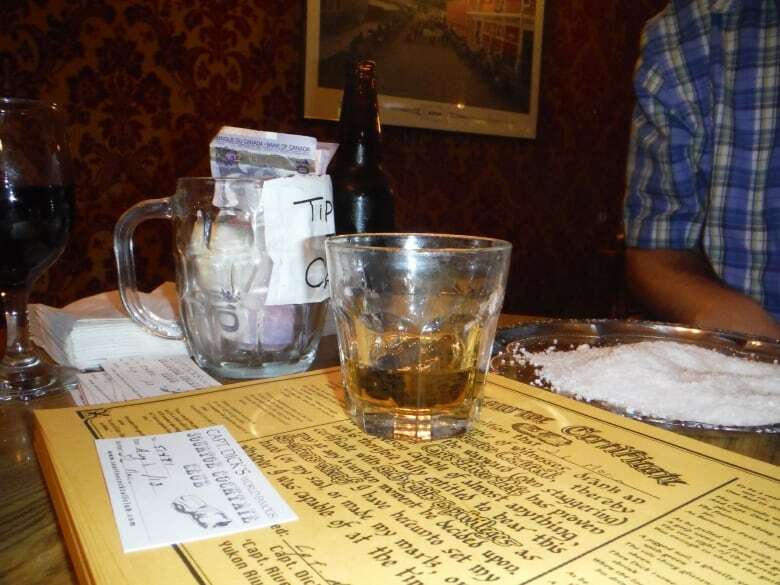 Last year, a drunken customer stole a toe (later mailing it back with apologies), and in 2013, a patron famously gulped one down before slapping $500 on the table (the posted fine for swallowing a toe). The adventurer had his toes amputated on Wednesday. His doctors originally intended to let the dead toes fall off on their own, but decided this week to just go ahead and remove them before infection set in. "I've pretty much lost all of my big toe, and I've probably just over half of the next two. So I've got two little stumps there, they've managed to save," he said. Griffiths said he spoke to the surgeon about keeping the detached digits. "He kindly put them into three little jars, and they're in my bedside cabinet at the moment. So I just need to try and find a way of getting them to Canada," Griffiths said. Griffiths isn't alone in his struggles. Another racer in this year's Yukon Arctic Ultra ended up with extreme frostbite on both his feet and hands, and faced possible amputations. Despite his ordeal, Griffiths is in good spirits. He's recovering at home, and feeling grateful that he's not worse off. He's still got seven good toes. Griffiths believes he just pushed himself too far in the race. Ultimately, he dropped out when he developed frostbite on his toes, fingers, nose and ears. It was only when he got to hospital in Whitehorse that he realized how badly he was injured. 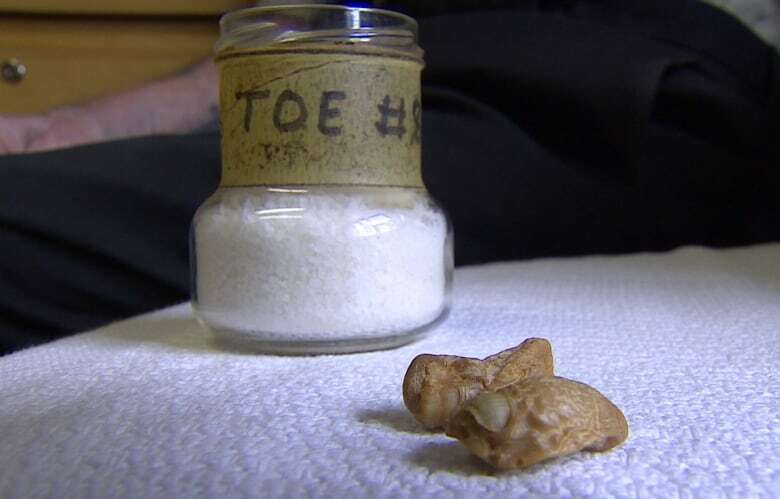 He credits the Whitehorse hospital — renowned for its treatment of frostbite — for leaving him with any toes. His life in recent weeks has been difficult at times, but he said he's been well cared for by his wife and daughters. "It's only when you get back and you realize how worrying and stressful it is for people back home when they get a phone call to say you're in hospital or you're in intensive care." Amazingly, he has few regrets, and doesn't blame the race organizers for anything. If there's any consolation, it's knowing that there'll always be a piece — or three — of him in Yukon. "Maybe one day my grandkids will be doing a bit of travelling, and they can say, 'that's Granddad's big toe in that drink.'"